Yup, I have been back for two weeks. I don’t have a good enough excuse that can justify such a late post… but given that I have had so much time to work on it I promise it will be good. Enjoy! 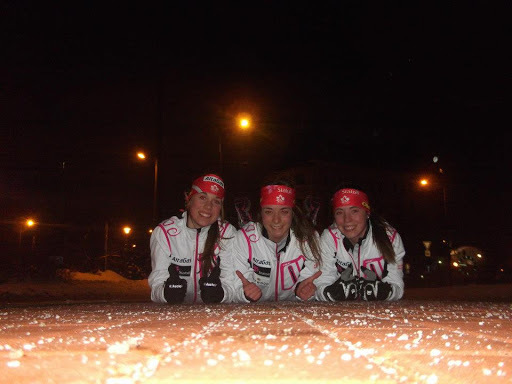 Our ski team left Ramsau and headed to Liberec where the world junior’s competitions was going to take place. What was set out to be a 7 hour drive turned into a 14 hour adventure. Most people would call this a nightmare, but our van crew and I actually had quite a good time. I would like to blame the extra duration of our journey entirely on the wild snow storm and the bad sign system in Czech Republic, but we definitely played a part in it too. Our 14 hour escapade boils down to breaking one of our vans wind shield wipers, waiting 45 min in a gas station, getting stuck in extreme traffic, getting lost in Prague because of, let’s just say, misleading Google map explanations and an appetizing stop at McDonalds for supper. All of this complete with nonstop entertainment: the continuous replay of 20 hit radio songs! 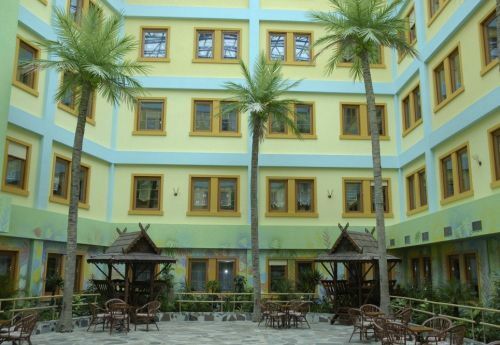 We finally arrived at our home for the next 10 days, the ridiculous hotel Babylon. Why would I describe Hotel Babylon as ridiculous? Because it features a casino, Water Park, bumper cars, bowling, mini-put and the list goes on. What makes it so ironic is that the rest of the city is completely run-down. 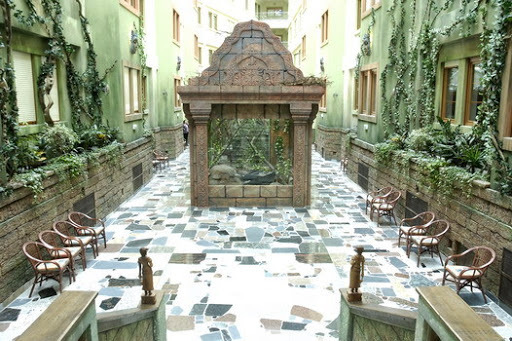 I still haven’t figured out weather the hotel is a place for people to stay during travel or if it is an actual destination, Czech Republic’s Disneyland perhaps? I’m sure you are all reading this to find out about the racing. So here is the scoop. The first race was a classic sprint, definitely one of my favorites. The race course was to my advantage, 3 perfect striding hills. You may think that the fact that I was way out of my country racing against the best of the world would make me overly nervous, but for some reason I wasn’t. Maybe it was because I the whole thing hadn’t sunk in yet. In any case, it probably helped me achieve what ended up being my best result of the trip. So there I was, at the start line, wearing bib number 25 and a red and white racing suit. The bib and the suit gave me confidence; they were proof that I belonged there at the starting line, among the best juniors in the world. Ten seconds to start… 5 seconds, 3-2-1 and I was off. As I fell over the finish line, about 3 minutes later, I had an amazing feeling. If you are a skier you probably know what I am talking about, if you are not, then you should definitely start racing! I’m talking about the feeling you get when you believe you attacked every single part of the course, putting all your effort in every push so that when you cross the finish line you have nothing left to give. I got up and stared at the big screen listing the results. My name was in 24th and to qualify for the heats you have to be top 30. I stood there for a good ten minutes as I watched my name descend to 25th, 26th, and finally to watch it hang on to 30th. The suspense was huge! I started observing the rest of the skiers coming in and tried to guess whether they were going faster than me or not. Eventually it was confirmed, I had qualified! I had achieved my goal and was on to the next: improve my result. I attained that goal in the quarter-final, finishing 5th right behind an American which placed me 25th overall. During my ten day stay in Czech Republic I did a crazy amount of things. So here are the really awesome things and the not so awesome things about the trip. The food at Hotel Babylon: I have always liked potatoes, rice and pasta because they are great for carbo-loading and usually pretty tasty. But when you eat it with brown sauce (or what I am guessing is gravy) and have it for lunch & dinner ten days straight, It can get a little boring and hard to swallow. The smoke: people smoke everywhere, even in the hotel lobby. It felt like my lungs were blackening by the second. 5km skate race: I felt like I just didn’t race my best and was pretty disappointed with how I finished, but hey, life goes on! I am at world juniors after all. The shopping: There is a mall about ten minutes (walk) from our hotel. Also most of the stores are ones we don’t have in Canada, and everything is super cheap, bonus! The fireworks at the opening ceremony: I was expecting there to be only be a couple but it lasted quite a while. They were shot up right behind and over the big church in the town square, pretty impressive. The pursuit: The start was hectic, girls were tripping and falling everywhere and I was one of them. Yes, I fell a few times and broke a pole, but it was a great learning experience. 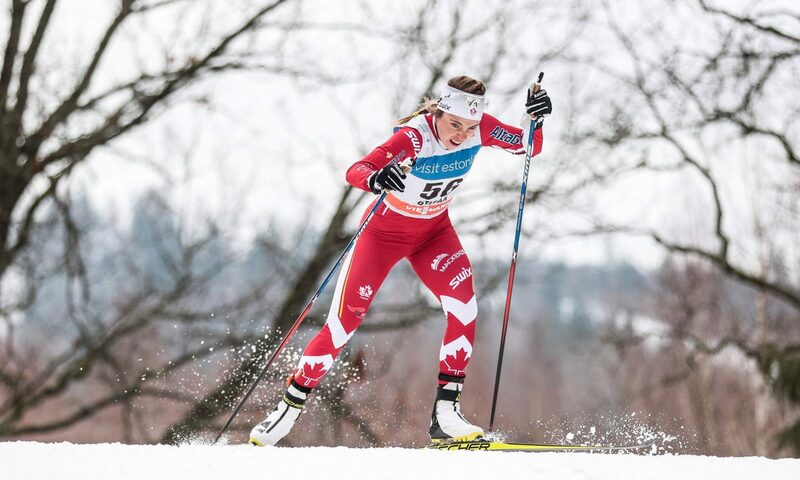 I also had a lot of fun skiing with my fellow Canadian team-mate, Cendrine Browne during the skate portion of the race. The pizzeria in Liberec: We went out for dinner the last 3 nights to a pizzeria in Liberec because we were so sick of the food at our hotel. I am not sure what it was called but the pizza was amazing and cost around 8$ for a huge pizza! I kept the leftovers for lunch the next day. The mountain: One day we went skiing on what we call the mountain. 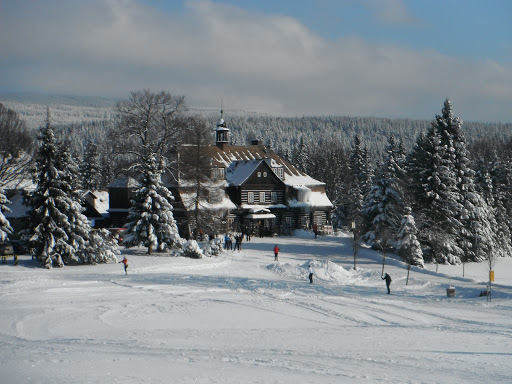 It is about a 15 minute drive from Liberec and it was an absolutely beautiful day. 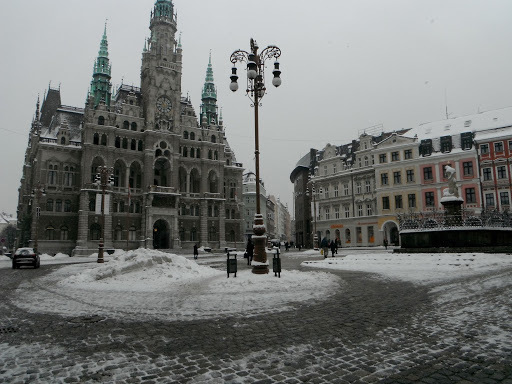 I think it was the only blue sky we saw during our entire stay in Liberec. Unfortunately, we were not the only ones who wanted to take advantage of the nice day, so the trails were literally crowded! We spent most of the ski trying to dodge the millions of tourist. 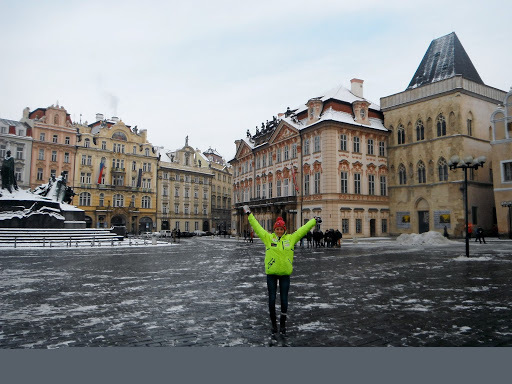 Prague: We had the chance to spend one night and half a day in Prague. It wasn’t as long as I would have hoped but it was a lot fun! Now that I am home, I have to face reality: School. Next up in terms of racing are Orford and Far hills, two Quebec cups and then Nationals in Whistler! It will keep me busy, but don’t worry, I’ll find time to keep writing, so please keep reading!